​We offer quick turnaround times with expert service. I will contact you when I receive your reel and advise you when it has left. I offer free pick-up and delivery in Miami-Dade county. If it is annual service that only requires cleaning and lubrication (no parts), it can be turned around usually within 48 hours from receipt. 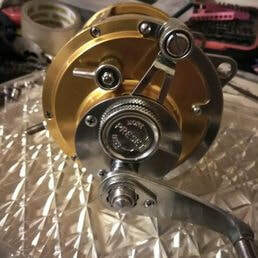 I have more than 35 years of expertise and experience with saltwater conventional and spinning reels. Simply select your service type from the matrix below, contact me via email/phone to coordinate shipment, and send your reel with insurance to the repair shop. Leave the rest to me and you will be back fishing in no time. 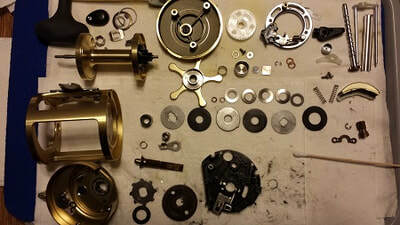 Need more information about a Fishing Reel Service or Repair? Simply enter your name and email. Add your phone number in the inquiry section if you would like to speak to me about your reel. I will usually answer or return the call within the hour.